As I mentioned in Wednesday’s post I’ve decided to start switching out some of the Paula’s Choice skin care products for others. I would like to mention that I’m not doing this because I dislike the Paula’s Choice products but because as a beauty blogger I need to try out other products as well. On Wednesday I switched out the Paula’s Choice BHA 9 for the StriVectin Advanced Retinol Pore Refiner, you can read my thoughts here. Today I’m switching out the Paula’s Choice Skin Recovery Exfoliant for the Farmacy New Day Gentle Exfoliating Grains. 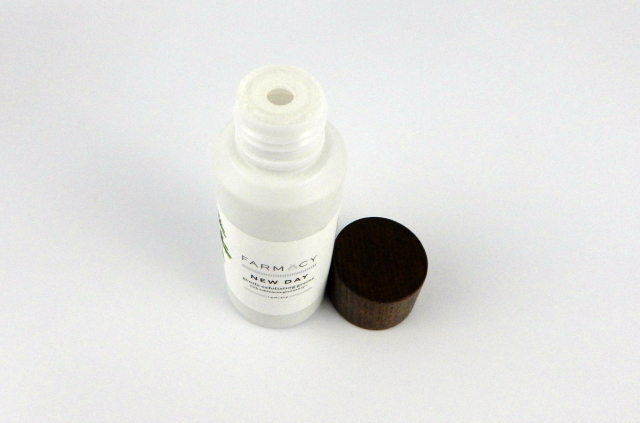 The Farmacy New Day Gentle Exfoliating Grains claim to cleanse, exfoliate, and clarify all in one step. It does this by using natural cranberry seed to lift away any dirt, or makeup, on the surface and white rice bran to loosen any dry skin. Farmacy New Day Gentle Exfoliating Grains have no parabans, sulfates, or phthalates. Farmacy New Day Gentle Exfoliating Grains is also not tested on animals. 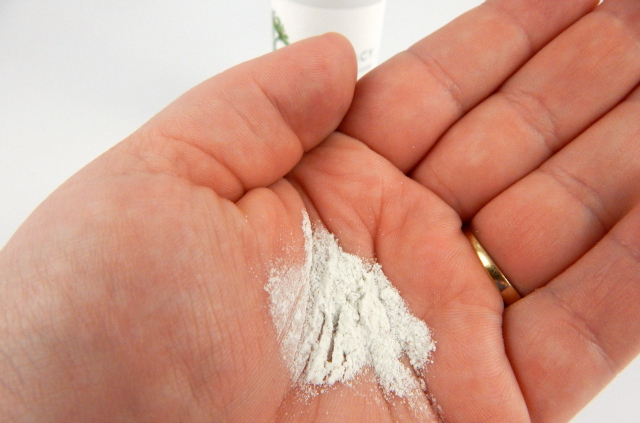 The product is a grain that transforms into a gentle exfoliating cream when water is added to it. To use the Farmacy New Day Gentle Exfoliating Grains you simply pour a quarter sized amount into the palm of your hand and mix with a few drops of water ONLY. Once a smooth, foaming paste forms massage onto the face with gentle circular, sweeping motions. Finally, rinse with tepid water and pat dry. Before I get into my thoughts I do want to mention that A. the product that I was went to review is a sample size not a full-size and B. I did not use this as a cleanse and exfoliate product like it claims it can be, instead I used it as just exfoliator. With those two things out of the way let’s get into what I thought about Farmacy New Day Gentle Exfoliating Grains. I did find that the Farmacy New Day Gentle Exfoliating Grains were very similar to the Dermalogica Daily Microfoliant, I reviewed that here. The Farmacy New Day Gentle Exfoliating Grains is a bit gentler but it’s packaging makes the powder product getting contaminated more likely. However, with the Dermalogica exfoliant sitting at $50 and the Farmacy sitting at $30 if you can be careful with the Farmacy packaging it is the better buy. If I didn’t have other products that do the exact same thing already in my collection I would be repurchasing this, however, for right now I’ll be using those up before I repurchase. If you’re someone who is looking for a gentle exfoliator or are looking for a cleanse and exfoliate in one step then this product is for you! I like that it’s a cleanser and exfoliator in one. And that it’s gentle and uses cranberry seeds to lift away dirt and rice bran to loosen dry skin. I do have dry skin and would love to give this one a try. I have never used any types of exfoliates, but you made these sound awesome! I may just have to try it! I will have to check this out. I love a face wash that exfoliates. My skin is very finicky, and I am always looking for something to make my skin look fresh and rejuvenated. Sounds like an interesting product. I need to try out something similar as my skin has been very dry lately. I’ve tried these grains before, and I absolutely love them! They really exfoliate the skin in such a gentle yet effective way. I use it nightly! These look like really great products! I would love to give these as a gift to some of my girlfriends this season. I’ve never heard of Farmacy but I’m always looking for new skin care products. Thank you for the review, I’ll be checking them out! This looks like a great product! I love the organic roots of its making and I love that there is such a great story behind it. It is important to me to know something about the products I put on my skin. This seems to be a great product for my skin. I’ve always wanted to regenerate my skin’s health. This sounds like a good product. I like to exfoliate about once a week. It really does help so much! These look like some really great products! I think they would also make great gifts for some people in my life! I’ve tried this before and I really like it. I don’t use mine while in the shower so I don’t really have to worry about it getting water contaminated. I love your video and your review. I liked that you compared it to other similar products. I think this is a great way to do it do you know what it’s like to use. Great review I’ll be checking it out for sure. I love exfoliators, they really help to keep my skin clear and clean! This Farmacy product sounds great and I love that there are no parabans, sulfates, or phthalates! I have never seen anything like these grains. What an interesting product to add to your skin regimen. I would love to try this product. I really need to take better care of my skin as I get older. Wow! 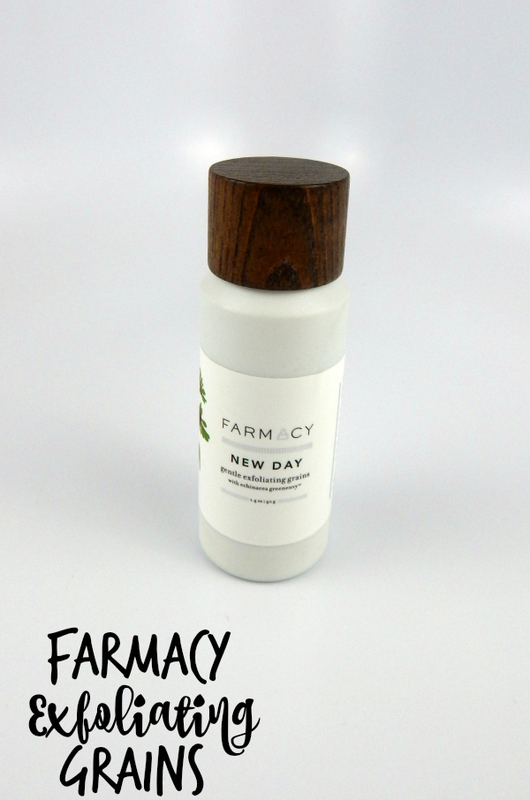 Now I am also curious to try Farmacy New Day Gentle Exfoliating Grains! Thanks for your wonderful and very thoughtfully written review! I enjoyed it! I need a good exfoliator and something that is gentle on my skin.